"Our goal is to ensure every child in Cleveland attends a high quality school and that every neighborhood has a multitude of great schools from which families can choose." 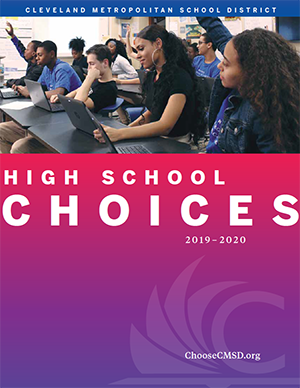 To help families choose schools that meet their needs, our School Choice Portal aims to give you the tools to make informed decisions. Cleveland Joins Say Yes to Education! Cleveland has been become the fourth chapter of Say Yes to Education, a historic development that will bring college scholarships to CMSD students while also providing services designed to keep them on track to graduation. Check out this CMSD-TV video that was played at the announcement. East Professional Center - 1349 E. 79th St.
Max S. Hayes High School - 2211 West 65th St.